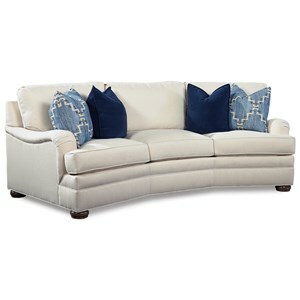 Emphasizing casual comfort and a relaxed outlook, this upholstered sofa is a welcoming addition to your living room. Minimalist styling is present throughout the sofa, from the low profile rolled arms to the subtle welting to the exposed wood legs. 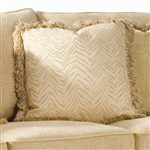 Four nineteen-inch throw pillows in your choice of coordinating or contrasting fabrics complete the look. Add the finishing touches to your home with this inviting upholstered fabric sofa. 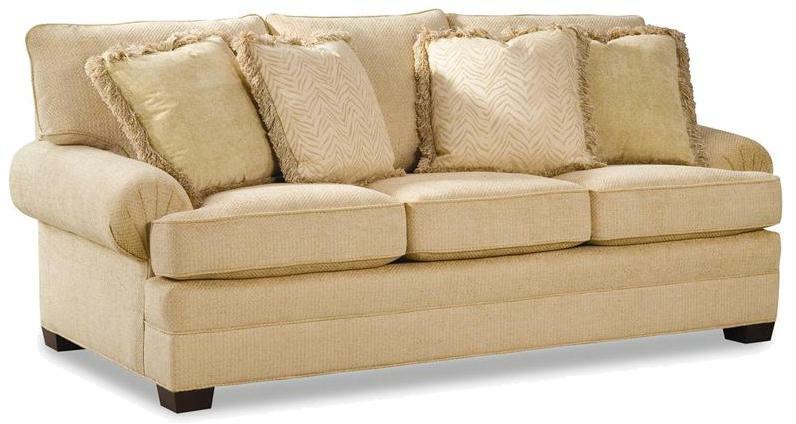 The 2061 Upholstered Sofa with Low Profile Rolled Arms by Huntington House at Wayside Furniture in the Akron, Cleveland, Canton, Medina, Youngstown, Ohio area. Product availability may vary. Contact us for the most current availability on this product. Fabric Options Available in any of Huntington House's many fabric colors. Contact us for more information. 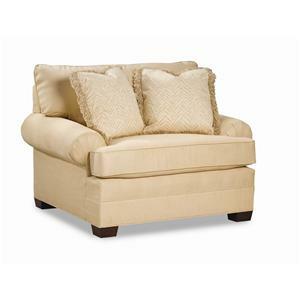 Pillow This sofa includes four nineteen inch throw pillows in your choice of coordinating or contrasting fabrics. Wood & Finish Exposed wood legs have a maple finish. Padding & Ergonomics Cushions feature premium environmentally safe 1.8 density UltraCell base core. Warranty The frame, springs, and cushions feature a limited lifetime warranty (Original Fabric, Original Owner). Mixing minimalist design with a casual sensibility, this comfortable and inviting collection is certain to make a wonderful addition to your home. 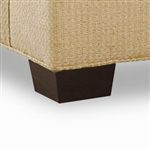 Clean lines are present throughout the pieces, from the simple, welted back and seat cushions all the way to the tapered, exposed maple legs. Customize the sectional to fit your room dimensions perfectly, and choose low profile arms for support or armless for style. Throw pillows in your choice of coordinating or contrasting fabrics add the finishing touches to upholstered sofas, wedges, chairs, and sectionals in this versatile and attractive upholstery collection. The 2061 collection is a great option if you are looking for Casual furniture in the Akron, Cleveland, Canton, Medina, Youngstown, Ohio area. 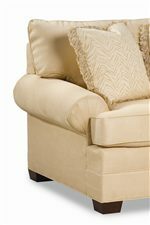 Browse other items in the 2061 collection from Wayside Furniture in the Akron, Cleveland, Canton, Medina, Youngstown, Ohio area.